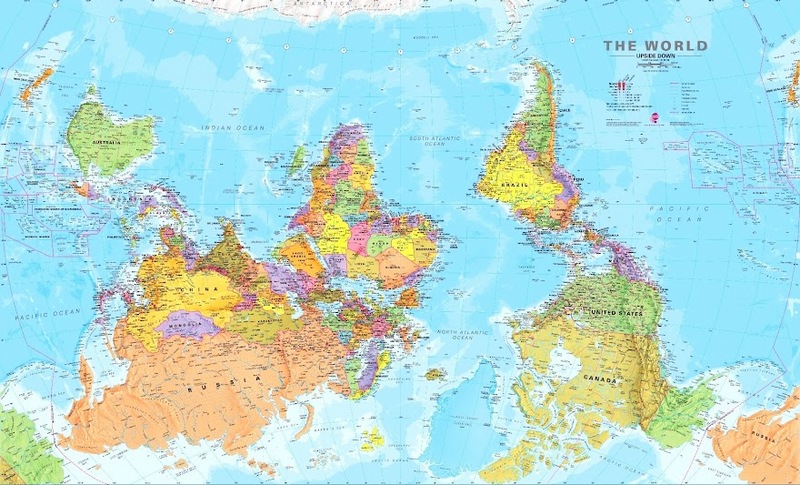 The convention that North is at the top on most modern maps was established by the Egyptian astronomer Ptolemy (90-168 AD) and was adopted by other cartographers. 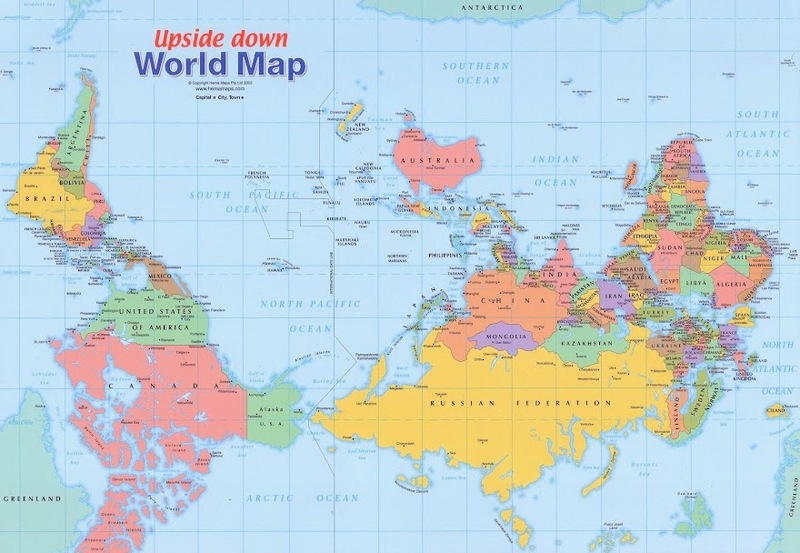 In modern times, reversed maps are made as a learning device or to illustrate Northern Hemisphere bias. I for one think Australia belongs on top! My husband and I are spending a few days in Amersfoort for Christmas with his cousin. I hope you turn on some good weather for us - it's my first cold Christmas. On the bright side: Amersfoort covered in snow is beautiful: www.flickr.com/photos/35463710@N06/sets/72157626434758938/. But I don't think that will happen, a White Christmas is rare over here. Well that’s different. I enjoy looking at old maps but it hasn’t improved my geography skills and I can’t read modern maps either. Good one Rob, it shows how a small change in perception can make a big difference.